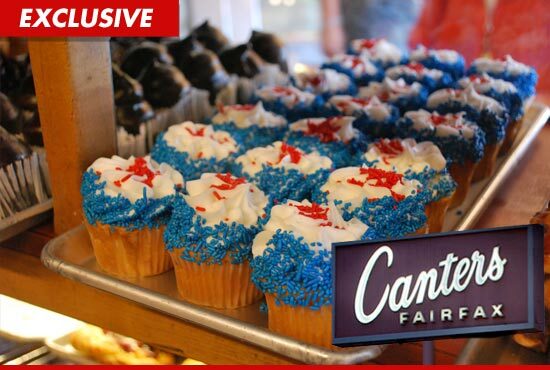 They might be located 3,000 miles away from Ground Zero, but the folks at the legendary Los Angeles Canter's Deli want to thank the servicemen of the area ... with tasty, tasty treats. To commemorate the 10th anniversary of September 11, they will be handing out free cupcakes to all firefighters, police officers and military personnel (provided they come in uniform or show some proof of service). A rep for the deli tells us, "Canter's would like to thank fire departments, police officers and military for all their hard work."